Tim has relocated to a new studio in Dorking, Surrey. The old studio gallery in Shere is now closed. For viewings of paintings please phone to arrange an appointment. Please see contact page for new contact details. 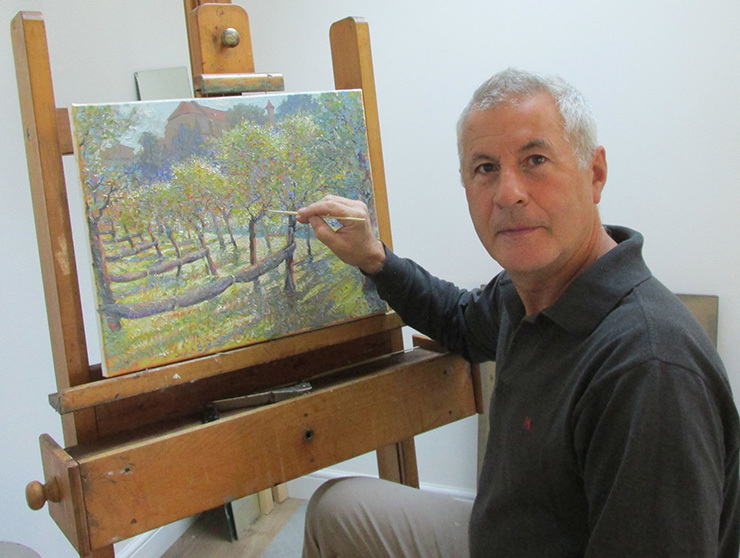 Since then Tim has been running his own picture restorer and artists studio which is now located in Dorking, Surrey. He has exhibited several times at the Royal Academy Summer Exhibition, The Miniature Society, The Marine Society, The Royal Society of Portrait Painters and the Institute of Watercolour Painters. Through the years he has exhibited fourteen one man shows including one in Paris and has won the Pro Art prize for painting at Discerning Eye Exhibition in the Mall Galleries. He has a keen eye for detail and feel in a painting. See Tim's online gallery.